Andrea earned a Bachelor of Science degree in Mathematics from the University of Toledo, specializing in Statistics. She has worked in the financial services industry for more than 15 years with an emphasis on client relations and staff supervision. She brings a dedicated and sincere approach to creating and implementing client-centered operational systems. 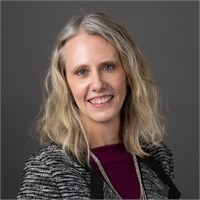 As a Practice Manager, Andrea oversees the operations and growth of the firm and is focused on continually enhancing the value of services we provide to our respected clients. Andrea and her husband of 20 years, Jim, love spending family time with their two young daughters, Sophie and Alie. Both girls are active in dance and enjoy playing the piano. Andrea and Jim enjoy running, hiking, traveling and watching football; they also both do volunteer work for several programs within their church.